630 S W Silver Lake Rd. A luncheon will follow and burial with military honors will be held at 2pm at Grand Traverse Memorial Gardens. Walter "Butch" Anthony Kozlowski Jr, 73 of Lake Ann, Michigan, passed away, Sunday, April 16, 2017 unexpectedly. Walter was born February 14,1944 in Detroit, Michigan to Walter and Genevieve (Bartkowiak) Kozlowski. He graduated in 1962 from St. Casimir's in Detroit. After high school, Walter attended and graduated from Greens Barber College. In 1966, Walter was drafted into the Army. On October 4,1968, he married the former Marion Leszczynski. Walter was employed as a Product Service Representative for Goodyear Tire Company. He retired in 1999. Walter was a devoted husband, father and grandfather and a friend to anybody that he met. 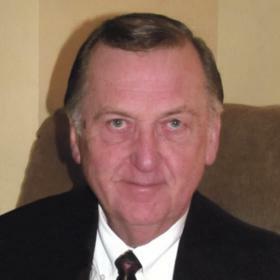 He adored his grandchildren and enjoyed watching their sporting events and school activities. Walter is survived by his wife Marion of 48 years; daughter, Chimene (Michael) Harrison and daughter, Michelle Kozlowski and four grandchildren, Brandon, Austin, Jacob and Emily (aka Sweet Pea) brother, Jerry Kozlowski and sister, Christine DeMeo. Walter was preceded in death by his parents, Walter and Genevieve and his son, Robert. Walter you will be forever missed but never forgotten. A memorial mass and celebration of life will be held 11:00 am, Friday, April 21, 2017 at St. Patrick's Catholic Church. A luncheon will follow the service. Burial will be held at 2pm at Grand Traverse Memorial Gardens. The United States Army Honor Guard and Cherryland VFW Post 2780 will provide military honors. Please visit www.lifestorytc.com to sign the guest book and share a message with the family.